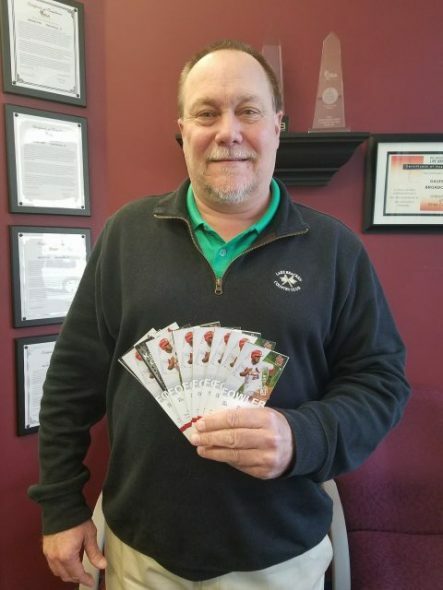 Mike Holmstrom and the fistful of tickets that he won with WGIL’s Gateway Ticket Takeover! We have a winner in our WGIL Gateway Ticket Takeover. Congratulations to Mike Holmstrom of Galesburg who won 4 tickets to EVERY I-55 Series game in St. Louis this season! From all who had become a contender in the Grand Prize drawing, it was Mike who was drawn at random Monday morning (4/16) as the big winner!